The traditional game with 10 words to identify. 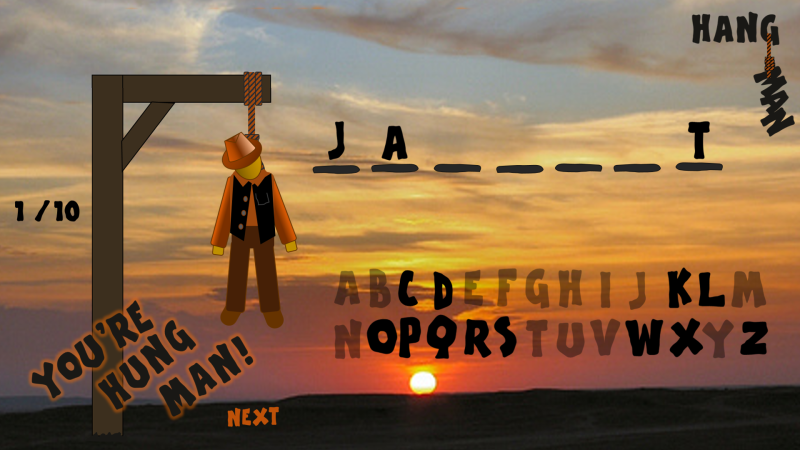 Almost identical to the pen & paper game, but with a few more opportunities to continue if you select an incorrect letter. The words are not easy to get, so you will need those extra chances. This is a game that could easily become a series of games. Why not download and make your own set of games!? 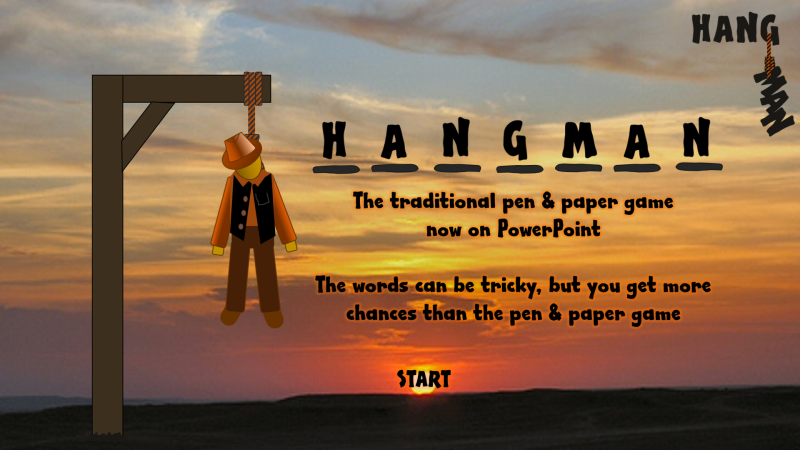 Do YOU have a PowerPoint game, animation or artwork that you would like others to see or play? If you want to download the game to play but also see how the whole thing works (and even make changes if you want) click on the PPTX icon. If you want to open or save the game just to play it, click on the blue PPSX icon. If you download any files, and if you can, please donate a small amount to help keep these games coming. (No amount too small). You don’t have to donate for every download. You don’t have to donate at all; but any amount will help for the production of new games and the maintenance of the website. Thank you. DON’T HAVE POWERPOINT ON YOUR COMPUTER ?